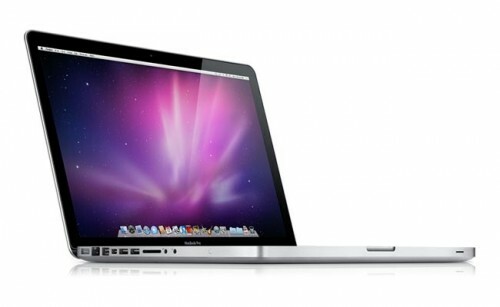 Rent Our Laptops has a large selection of Apple Laptops Rentals for all sorts of personal uses. Most often rented are the Macbook, Macbook Pro and Macbook Air. 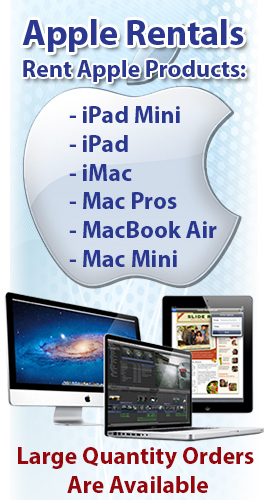 iPad and iPad 2 Rentals are also very common. Popular reasons for an apple laptop rental or a mac laptop rental are for education; great for students, teachers, trainers and professors. Also for family events; weddings, family reunions, movie nights, homemaking. Most commonly though, apple laptop rentals are used for hospital stays, vacations, business travel, conventions, trade shows, conferences, presentations, and other personal events. Your Tech Travel Agent© will personally handle all your business technology rental needs. On October 4, 2011 Apple fans from around the world will cry out in triumph and amazement as that is the day of the next big media event from Apple. It is also the day that the company, known for its popular iPad and Mac computers, will unveil the next installment in its other popular franchise, the iPhone 5. There have been a lot of differing opinions about the exact timing of the event, some of which even suggested that it would take place this month. 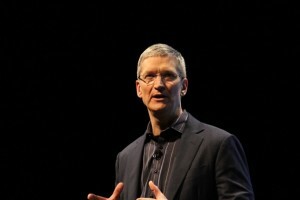 However, it has generally been assumed that the event, as well as the unveiling of the iPhone 5, would take place in October. And while it is true that Apple could change its plans whenever it feels like it, multiple sources have said that October 4 has definitely been selected by the company as the unveiling date of the iPhone 5. In addition to that, sources added that the plan, as it stands right now, is to make the device available for purchase within a few weeks after the announcement. While the unveiling of the iPhone 5 is definitely the highlight for fans and consumers, the event itself holds more importance for the company. This event will mark the first big event for new Apple CEO Tim Cook, who took over for Jobs when he resigned last month for personal reasons. It is this fact that also alludes to the fact that Cook himself will preside over the unveiling, much like Jobs did when he was in charge. If Cook were to pass the event off to another Apple employee, even one as trusted as key executive Phil Schiller, it would undermine his entire position and present an image to the Apple public that the job may be too much to handle. I can find no better event to mark the first for Cook than the unveiling of Apple’s most anticipated product in the iPhone 5. So stay tuned for all the information and details that are sure to arise from the event on October 4, it should be one to remember.